A premium, dry style wine made in stainless steel with refreshingly crisp apple taste. Unoaked pinot-noir-style with incredibly distinct taste from the highest-quality grapes. Oak aged & very complex red blend wine with hints of clove, cinnamon, cedar and black plum. The perfect rose made from the finest Greek grapes. Fresh, unoaked, dry style is a masterful match for almost any dish. A sophisticated smooth cabernet aged about 12 months in oaked is perfect for sipping. How we make our super-premium wine matters, from vineyard to table. Greek grapes & American innovation make the best Greek wine. How we make our super-premium wine matters, from vineyard to table. Greek grapes & American innovation make the best Greek wine. Sign up for announcements and updates from our winery. 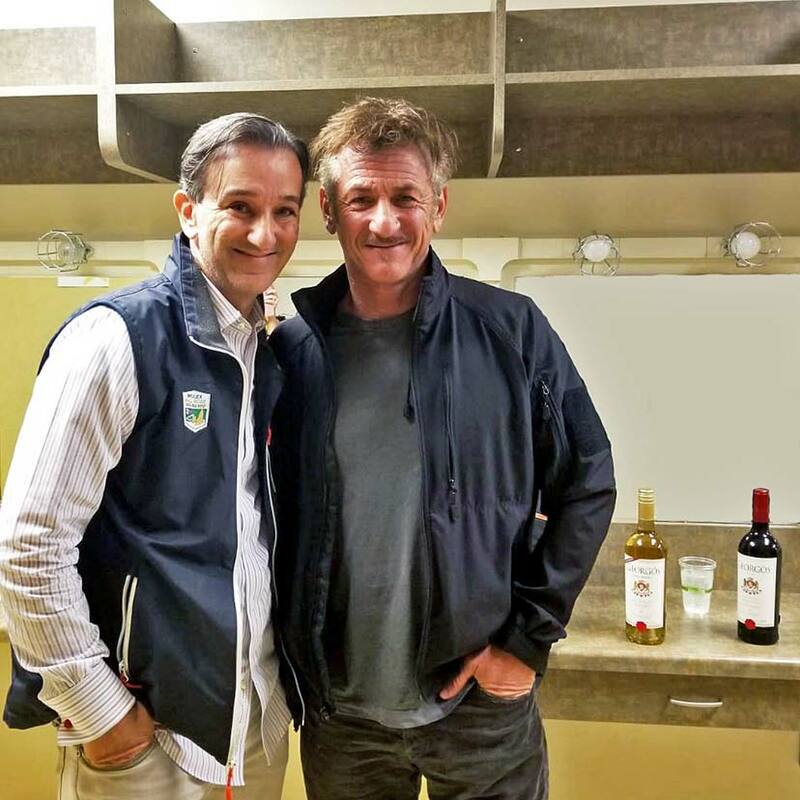 “I never thought that Greek wine could be so good! 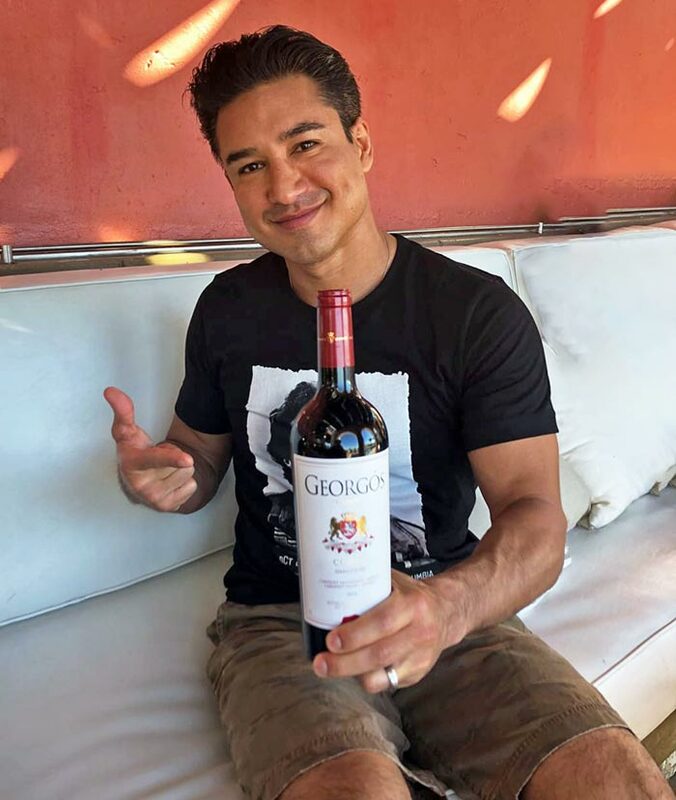 Georgós wine is the best out there. 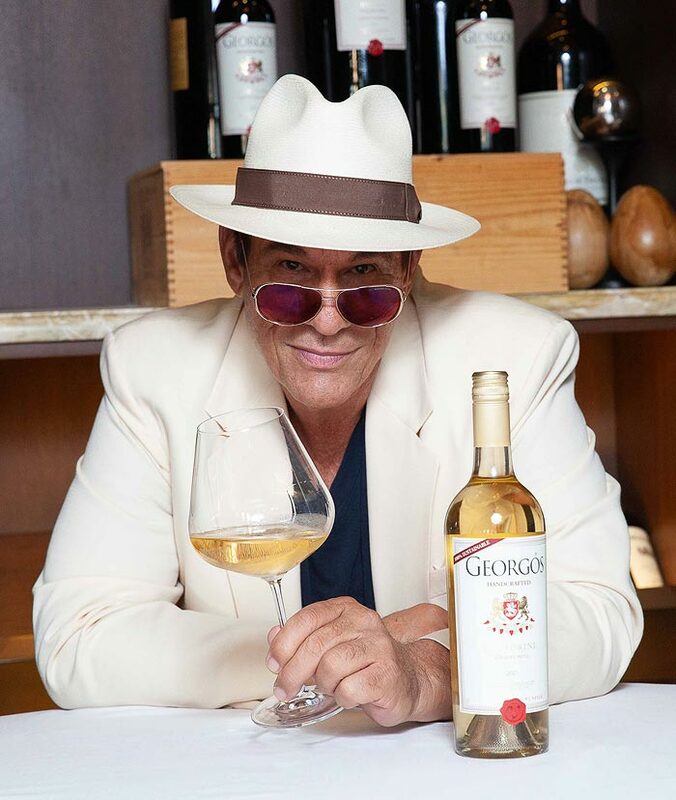 Mario is a fan of our Greek wines. Mario s a television host and an actor. He was the host of The X Factor with Khloe Kardashian. An evening with Sean, drinking Greek wines. Sean is an actor, filmmaker and an author. He has won two Academy Awards. 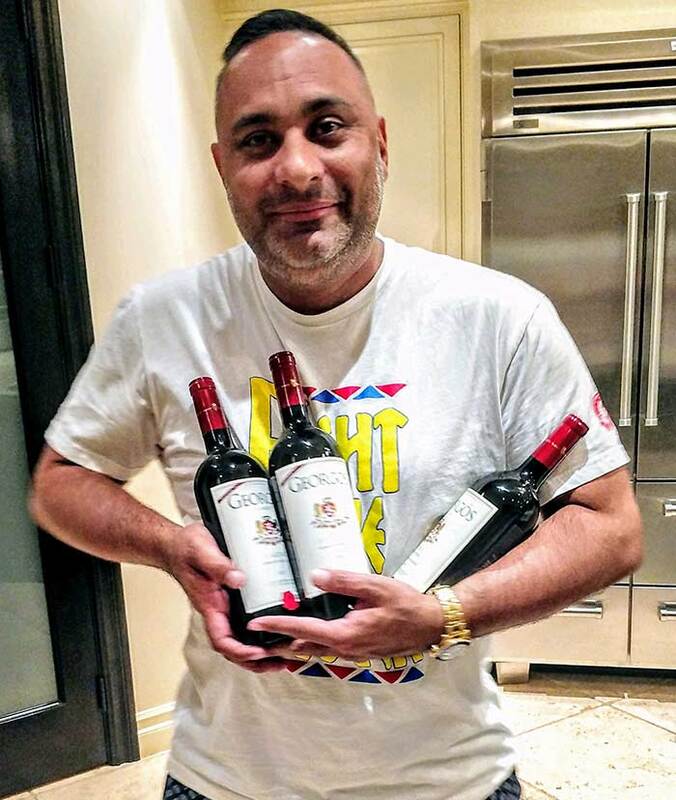 Russell with our wines at home. Russell is an International Emmy Award winner, stand-up comedian and actor. Mykonos screams Old World (from 476 A.D.) and is nicknamed “Wine of Hercules”. It’s light and delicate with mellow tannins and bright acidity. 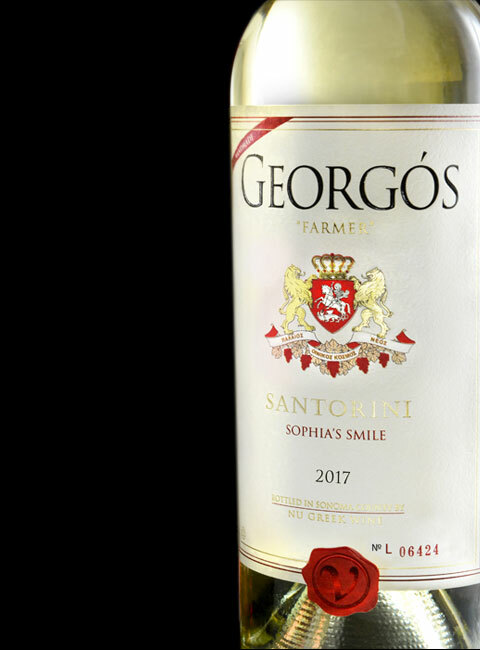 All Georgos wines are made with imported and sustainable fruit with no added sugar and low sulfites. Enter code MYK2013 at checkout (offer applies only for 1 bottle). 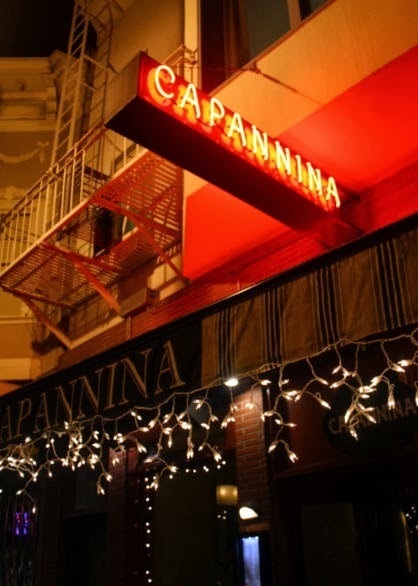 As a Georgós wine buyer, you will receive a complimentary wine tasting pour in San Francisco at Capannina, Cow Hollow’s elegant trattoria serving Italian cuisine with emphasis on the southern region, to enjoy with your dinner. 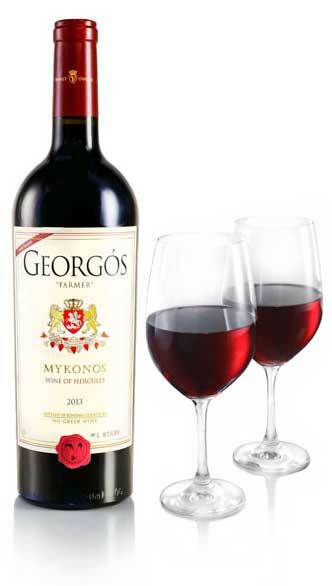 *Receive 2 free tastings (3 ounces each) of our Georgos wine, with minimum food purchase of $60. One offer per table, per visit. CANNOT BE COMBINED WITH ANY OTHER OFFERS OR DISCOUNTS. No cash value. Tax and gratuity not included. Valid for dine in only. This white wine has citrus aromas coupled with an earthy and mineral after-taste. Despite it being light body, it has a surprisingly silky texture with a structure of a dry Sauvignon Blanc. Santorini is made with organic production methods using the highest-quality Greek fruit. All Georgos wines are made with imported and sustainable fruit with no added sugar and low sulfites. If you want to know what a Greek Pinot Noir style varietal should taste like, this is the wine for you! Mykonos screams Old World (from 476 A.D.) and is nicknamed “Wine of Hercules”. It’s light and delicate with mellow tannins and bright acidity. All Georgos wines are made with imported and sustainable fruit with no added sugar and low sulfites. This super-premium blend is the fourth vintage, and the best yet. Corfu is extra smooth with lots of structure allowing for a very long life. This wine is made cleanly from triple hand sorted fruit. 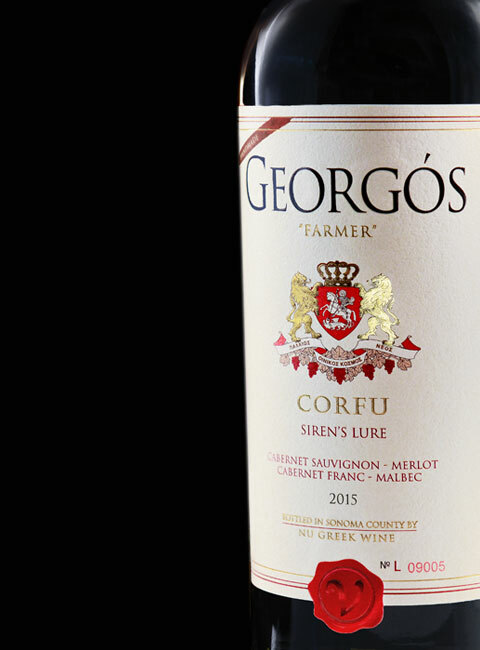 All Georgos wines are made with imported and sustainable fruit with no added sugar and low sulfites. Let us introduce you to the best Greek cabernet. The nose is true to Cabernet with a bit of leather, currants and blackberries. It contains soft tannins and deep structure. The wine is dry yet gentle for a Cabernet. We extended the barrel aging to make it extra smooth! 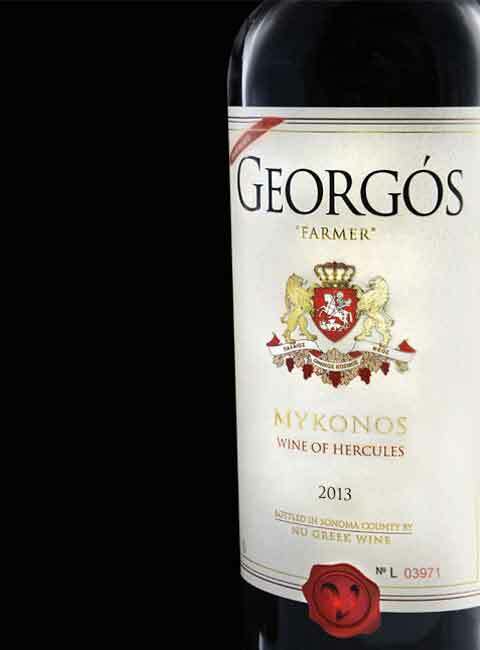 All Georgos wines are made with imported and sustainable fruit with no added sugar and low sulfites. This wine is fresh and delicious like a Pinot Noir. It is crisp and lingering like a Sauvignon Blanc. 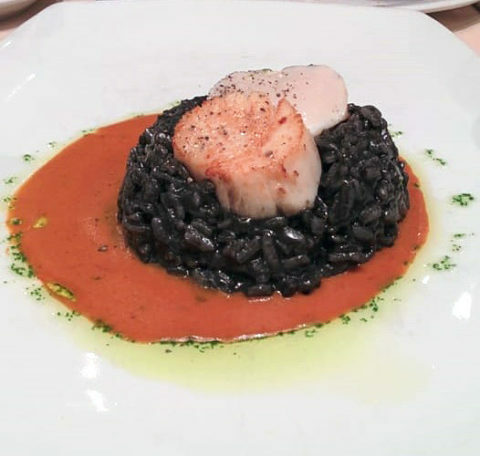 You’ll love it with almost any food and anytime of the year. This grape is a diva on the grape runaway. Simply delicious! All Georgos wines are made with imported and sustainable fruit with no added sugar and low sulfites. If you want to know what a big Greek red wine should taste like, this is it. The aromatic entry, like a potpourri of black Boysenberries and red raspberries, explodes in the middle palate with big round fruit that adds strawberries and ripe cherries. 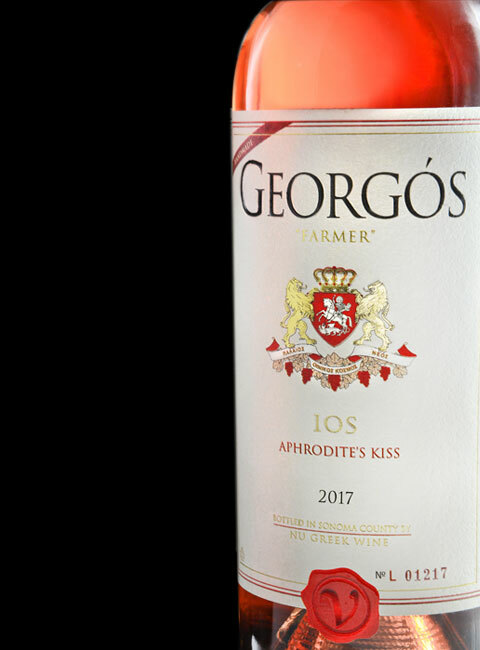 All Georgos wines are made with imported and sustainable fruit with no added sugar and low sulfites. 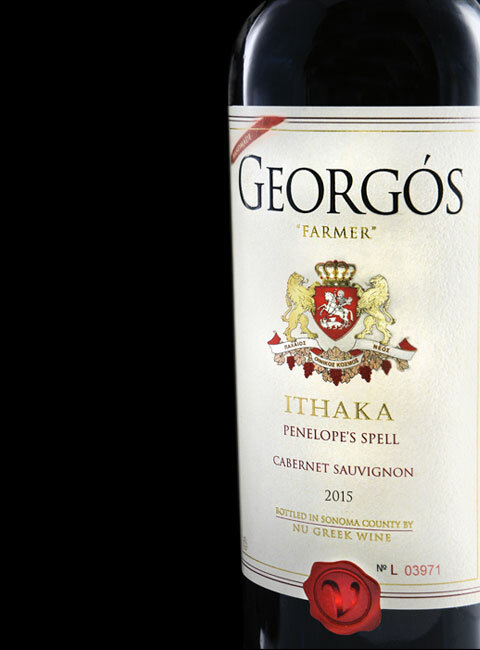 Greek wine in flavor and quality. wine in flavor and quality.